I love makeup, I really do… and I also believe that by simply having a better understanding of your products and by investing some time in learning what those makeup products can do for you, you can achieve a younger and fresher look in minutes. You might be using the best anti-ageing products in the market, but if you get your makeup wrong, nobody is going to notice your beautiful skin. Think of it this way, you lay out your prized possessions where they can be seen and admired, not thrown behind a dingy cupboard! After all, you are investing time and money into taking care of your skin, then why let a messy base/foundation ruin that? I always say start with prepping your skin. 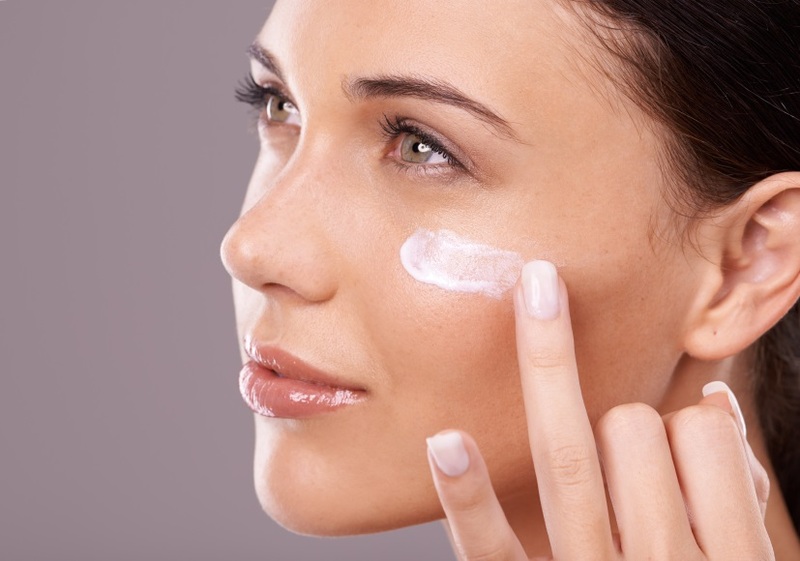 Invest in a good eye cream and moisturiser because as we mature our skin tends to look dehydrated, so a great way to infuse life into it is to add moisture into the skin. 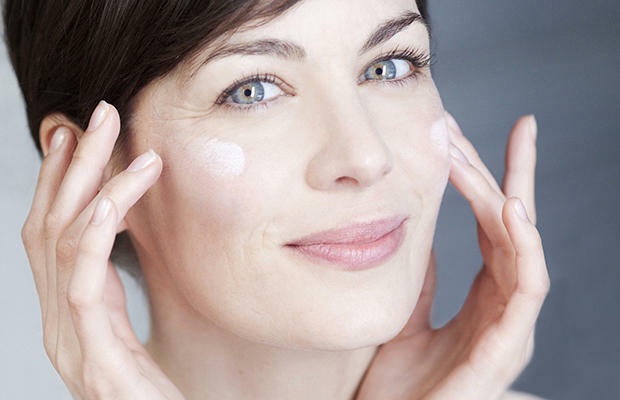 However, don’t confuse moisturisers with primers! You might think there’s no need for a primer if you’ve already used a moisturiser, but that’s where you are going wrong. A moisturiser will only hydrate your skin, but a primer on the other hand will actually help to fill-in your pores and diffuse the fine lines and wrinkles on your skin, especially if it is a silicone based or smoothening primer. Some of my all-time favourite Drugstore primers are from Paese, Revlon, NYX and CoverGirl. If you’re looking for a High-end primer, then MAC, Smashbox, Benefit, Chanel, Hourglass, Urban Decay, Laura Mercier and YSL do some excellent ones! The key to beautiful makeup application (irrespective of age) is that ‘LESS IS MORE’…always. Some people prefer to first use a concealer and then go in with a foundation, but I honestly feel I get better results when I start by using a thin layer of foundation all over and then go in with a concealer to correct any problem areas, like blemishes, pigmentation, dark spots, under-eye bags, etc. I also recommend not taking your foundation all the way under and around your eyes. 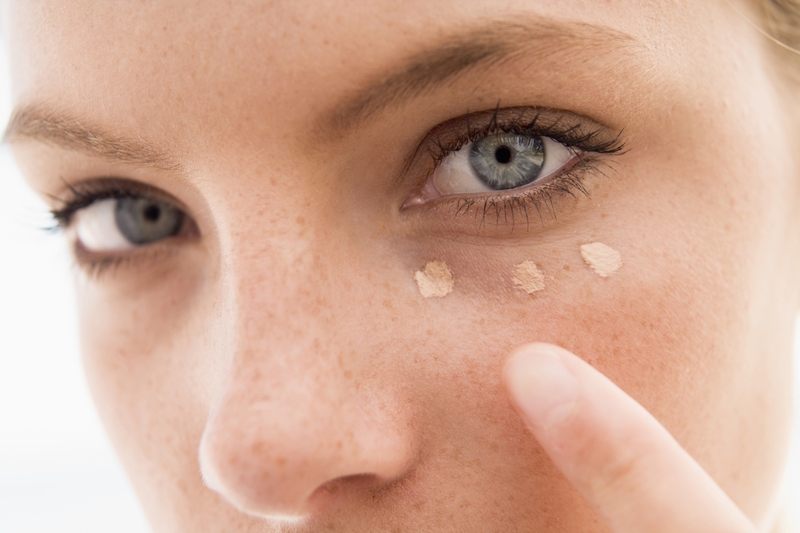 Use only 1 product – either foundation under the eye or concealer, not both. And don’t forget the inner corners – because more often than not, that’s the area that has the darkest shadow. Use your fingers to smooth the product in. When it comes to foundation, choose one that specifically targets ageing skin – so something like the Le Metier de Beaute Peau Vierge Anti-Aging Complexe, YSL Touche Eclat Le Teint Radiance Awakening Foundation, Bobbi Brown Tinted Moisturizing Balm, Neutrogena Healthy Skin Anti-Aging Perfector or even the Fit Me foundation by Maybelline would be perfect. Mature skin tends to attract the eye towards lines and darkness on the face, so it’s crucial that you lighten things up. Use a liquid concealer, instead of cream/stick or powder to bring light and brightness to the skin. Stay away from concealers that seep into fine lines and instead opt for one that blurs imperfections to make your skin look luminous. If you have to remember only one thing from this post, it should be this – Out of all the makeup tools accessible to you, a Beauty Blender or any damp sponge is your best friend! Damp sponges are excellent for makeup application because 1) they don’t soak/eat your products and 2) they sheer out and thin products to give you a beautiful finish. It’s sad (but true) that our lips shrink as we age, especially the upper lip. So choose a lipstick that’s close to your natural lip colour or go for berry or pink shades. Also, invest in brands that have hydrating ingredients such as glycerin, argan oil or shea butter in their formulas. Another great way to cheat a ‘plump’ lip look, is to dab some vaseline or Nivea butter at the centre of your lips, as that will make your lips look fuller making you look a lot younger. The one good thing that age does for you is that most women lose fat on their faces as they age. Use this to your advantage when applying makeup and show off the bone structure by applying blush to the highest points of the cheekbones to make them stand out. It’s a fact that with age your skin starts to produce lesser oil, which makes that your skin becomes relatively dry. I recommend using cream products on mature skin – so a cream blush, cream bronzer and contour as well as cream highlighters (instead of powder). Once again, use a beauty blender to pat that into your skin to give it a radiant glow. Isn’t beauty blender the best?!! I had the same issue when I first started using it because I was so used to dragging and buffing using brushes. My wife had been to the Facial Mania Spa & Wellness with several of her friends and told me how nice it is, so for our 15th anniversary we spent the day at the spa. It exceeded my expectations in every way! We arrived a bit early for our noon appointment and they showed us around the facilities. http://www.facialmaniaspa.com Take a look for yourself, you wont regret it! My wife had been to the Facial Mania Spa & Wellness with several of her friends and told me how nice it is, so for our 15th anniversary we spent the day at the spa. It exceeded my expectations in every way! We arrived a bit early for our noon appointment and they showed us around the facilities. Stopping by love the site, guys I took my wife to a spa in Boca Raton. Well I live in Florida, I got the best reward of my life lol. Check them out http://www.facialmaniaspa.com.